Sometimes you find things totally by accident. Sometimes these places have a greater resonance than those you visit deliberately. Sometimes you wander deeper into the woods than you meant to, but something calls you on. 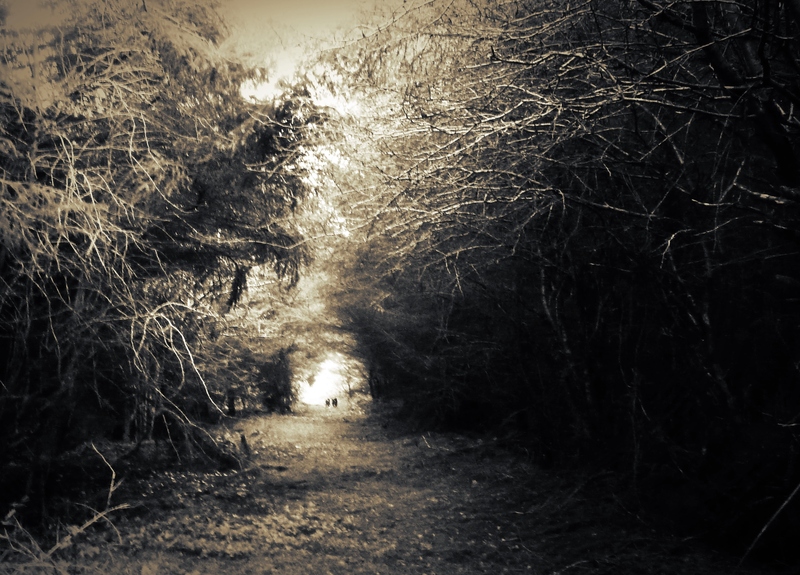 When the path into the woods becomes narrower, thinner, wilder, and just at the point when you wonder should you turn back, something catches your eye through the trees. 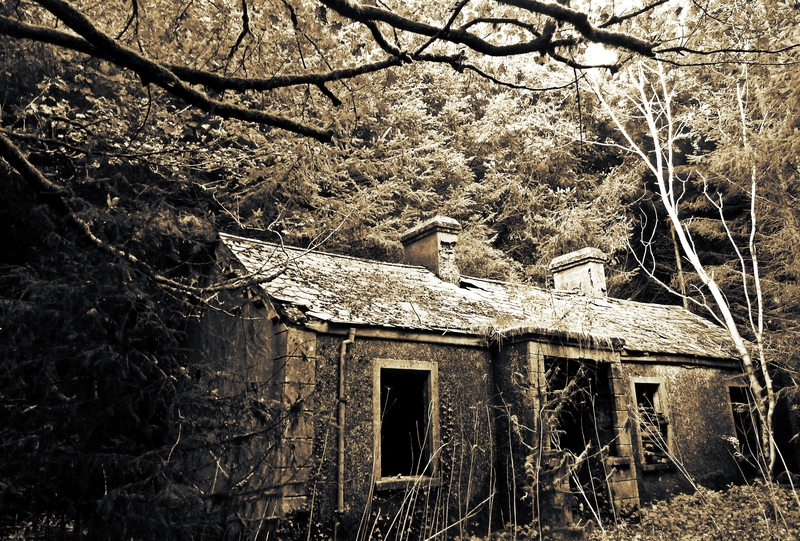 Miles from any road, from any other inhabitation, the lost cottage sits in a clearing. As a chill atmosphere filled the air, I could only imagine who lived there last, who left it to succumb to the whims of the forest. I walked away with more haste than I arrived. Previous postWanderings With The Fae No.1. Achill, pirate queens and folk art graves.